What is the Historical Basis for the New Testament? The actual facts obliterate the claims of skeptics. We know for certain that New Testament as we have it today was actually written by the apostles and those who knew Jesus. And it did not give them control or power over others – it led to their martyrdom. Last time, we looked at the origins of the Old Testament. We will come back to the Old Testament, and talk about how to understand the various kinds of writing we find there. However, for Christians, the key to understanding the Old Testament is found in the New Testament, so we’ll look at that this week. I’m a mystery novelist. If you haven’t already, I’d love it if you can help me become rich and famous by buying my books and then telling everyone you know about them, and posting about them online. But that’s not my point. My point is, when I write a book, the mystery is not revealed until near the end. If you read two-thirds of one of my books, and then stopped, the story-line would not make sense. You can’t fully understand the beginning until you have read the entire book. On the other hand, if you read the last one-third of one of my books, but not the beginning, you would get the main gist of the story. 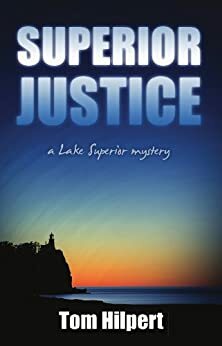 You would understand the basic, underlying plot, and the mystery would be unveiled for you. However, you would miss out on many rich nuances and many enjoyable parts of the story. If you hadn’t read the beginning, you might not understand why some of the events at the end were so significant for the characters. You’d get the idea, but you would still be missing out on a lot. This idea of “mystery” is one of the keys to understanding the relationship between the Old and New Testaments. The New Testament is the revelation of the mystery. It shows us what God was ultimately aiming at, in the Old Testament. We cannot understand the Old Testament without the New Testament. You can get the basic message from the New Testament, even if you haven’t read the Old. In fact, I think it is best to read the New Testament first. It won’t “spoil the ending,” in fact, it will help you to understand the whole bible. But you won’t understand the incredible grace and wisdom and power of God unless you read both the Old and the New Testaments. So, with that in mind, where did the New Testament come from? The short answer is this: Jesus chose twelve people who knew him personally to be his apostles. Later, he chose another, Paul. He lived with them, taught them and trained them. He sent his Holy Spirit to reveal his truth to them. After Jesus left his earth, his apostles taught and wrote about him. The apostles wrote down their teaching in letters. These writings about Jesus became what we call the New Testament. If you studied Galatians with me, you know that the revelation Paul received was affirmed and agreed with by the apostles who had been with Jesus personally. Besides Paul, there are four authors in the New Testament who were not in the group of original apostles. Mark (who wrote the gospel of Mark) was not in that group. However, he traveled with Paul and Barnabas, and spent extensive time with the apostle Peter. His gospel is believed to be a basic summary of the things he heard Peter say about Jesus. The man who wrote the book of James was not James the apostle. The apostle James was beheaded within about ten years of Jesus’ death. But the James who wrote the book was the son of Mary, mother of Jesus. In other words, he was Jesus’ half-brother (Galatians 1:19). Obviously, he knew him, and James experienced a special encounter with Jesus after the resurrection (1 Corinthians 15:7). James’ brother Jude (thus, another one of Jesus’ half-brothers) wrote a short letter. Luke was the only other person who contributed to the New Testament. He wrote the gospel of Luke, and the book of Acts. It is clear from both that he spent extensive time with the apostle Paul, and with many other Christians, including Mary, mother of Jesus. No one knows for sure who wrote the letter to the Hebrews. Many people believe it was Paul, though it is missing Paul’s usual personal greetings. Others think it might have been James, or another of the apostles. We do know however, that it has been accepted as a genuine apostolic letter for as long as the other books in the New Testament. That brings us to the next point. How do we know that the teachings of these people who knew Jesus are, in fact accurately preserved? Skeptics generally criticize the New Testament with these ideas: [They say] it was created a long time after Jesus, by people who never knew him. If there was any truth to it, it has been distorted by people who changed the stories to suit their own purposes. Usually, they say the reason it was created was to give power and control to religious leaders. The actual facts obliterate these ideas. In the first place, the idea that New Testament was created to give control to religious people, is nonsensical. We can trace many New Testament books (in their present form) back to around 150 AD. It is well established that the entire New Testament as we know it was used from 250 AD onwards. The problem for skeptics is that up until 320 AD, Christianity itself was illegal in the Roman empire (which is where it began). It is well established that during this time in history, Christians were often deprived of freedom and property. Christian leaders were sometimes tortured and martyred. Far from giving them power, the New Testament gave them the status of outcasts. If the original purpose for the present-day New Testament was power for religious leaders, it would contain verses affirming Emperor-worship and pagan gods. Instead, during the time it was supposedly “made up,” it led to the opposite of power and control. Secondly, we can know for sure that the stories and teachings of Jesus, and the teachings about him, were not changed and distorted. Ancient documents were written by hand. Because writing materials wear out, when those documents started to degrade, new copies were made. The New Testament was the same. In addition, because Christianity is faith that is supposed to spread, numerous copies were made, and carried all over the known world. Not only that, but the New Testament was also translated into several languages, and copies were made, and recopied in those other languages, also. If you can find numerous copies of an ancient document, you can compare them to each other, to see if they are same. It helps if they come from different places and different time periods. Much of what we know of the history of 0-100 AD comes from just a few ancient documents. One of them is called Annals. A Roman named Tacitus wrote it in about A.D. 100. Tacitus is considered to be a very good historical source for that period. Today, twenty ancient texts of Tacitus’ writing exist. The oldest is a copy that was made in 1100 A.D. — 1000 years after Tacitus wrote the original. With regard to Annals, no historian seriously disputes that they were indeed written by Tacitus. Scholars have compared the twenty surviving ancient manuscripts, and most accept that what Tacitus originally wrote has been accurately preserved. There is no document that old (besides the New Testament) that has even 300 ancient copies of it still in existence. There is no document that old (besides the New Testament) in which the copies date within 500 years of the original. Compare this to the New Testament. between 50 and 100 A.D. There are more than five thousand six hundred (5,686, to be exact) ancient copies of these documents. The oldest copy of any part of the New Testament is a fragment of the book of John (known as the Rylands Manuscript) which is dated very close to the time which John actually wrote the book – certainly within forty years, but possibly even part of the original. 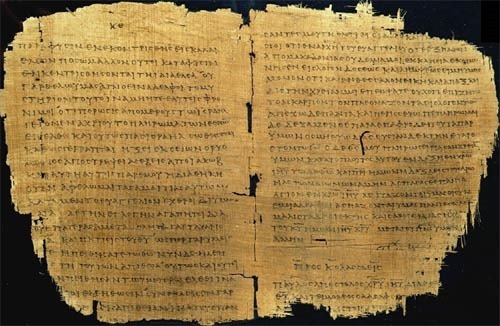 Another fragment of Matthew is believed to be so close as to be part of the original gospel as written down by Matthew himself. Many of the books exist in copies that were made within 100 years of the original. There are complete New Testament manuscripts – i.e. all the books gathered together as part of one document – that date merely 225 years after the time of the apostles. In addition to all this, we have ancient translations of the New Testament in Latin, Coptic (an ancient Egyptian language), Arabic, Slavic, Armenian and several more languages. In fact there are 19,284 ancient copies of all or part of the New Testament in languages other than Greek. The oldest are in Latin and Syriac, and are dated around 150 AD – or, less than 100 years after the originals were written in Greek. To put it another way, there are 284 times more copies of the Greek New Testament than there are of Tacitus. And the age of the copies is almost a thousand times better. That makes the New Testament a much better historical document (hundreds of times better) than the best other documents from that same period. The fact that there are so many ancient copies also makes it possible to know with a good deal of certainty what the original documents said. In other words, with so many good copies out there, we can compare the texts and see if they are the same or not. If all or most of the texts show that John wrote “Jesus wept,” than we can be very sure that John did in fact write, “Jesus wept.” People have now been comparing and compiling these ancient manuscripts for some time and we can be very confident that what we read in English has been translated from a Greek text that would be probably 99% exactly the same as what was originally written. There are some differences between ancient copies, of course. Some of them are easily identified as copying errors. Some of the differences show up in only a few of the manuscripts, while all of the others agree. But there are a few differences in ancient copies of the New Testament that can’t be easily resolved. None of those textual differences have any impact on any major Christian beliefs. None of them change doctrine. The NIV Bible translation makes of a note of any major differences between ancient Greek manuscripts. One example is Luke 23:42. Luke writes that the thief on the cross said, “Jesus remember me when you come into your kingdom.” The NIV makes a note at the bottom that there is enough evidence to note a variant manuscript reading. The variant would read like this: “Jesus remember me when you come with your kingly power.” You may say: “What’s the big deal with that? What’s so different about it? What does it change? Doesn’t it mean the same thing?” That, of course, is the point. It changes nothing significant. Nor do any of the “significant” variants. If you have an NIV Bible you can scan the bottom of the text as you flip through the pages and see all the significant variants. Probably the biggest significant variant comes from John 7:53-8:11. The NIV makes this note: “The earliest and most reliable manuscripts and other ancient witnesses do not have John 7:53-8:11.” In all probability this little section was not included by John when he wrote the gospel. It may have been a story told by John, that was well known to those who knew John. After his death, they might have included in the gospel so that the story would not be lost. It might have been written by John some other time, or by one of the other apostles and included in John’s gospel so the story wouldn’t get lost. But even if you take this little section out of the Bible, it doesn’t change any major doctrine. In addition to the all the copies of the New Testament, we have surviving letters and writings of early Christian leaders. These early Christians quoted both the Old and New Testaments extensively in their writings. It is obvious from this that the books of the New Testament must have existed during the lifetimes of the people who quoted them. Since we know when these early church leaders lived, we know that the New Testament is at least as old as they are. The oldest of these is Clement of Rome, who died in 99 AD. Thus we know that books of the New Testament that he quoted had to exist before the year 99. Another early church leader was Ignatius of Antioch, who died, at latest, in 116 AD (he may have died as much as twenty years earlier). There are other ancient writings about Jesus – writings that were not included in the New Testament. These include The Shepherd of Hermas, Didache, Apocalypse of Peter, The Gospel of Judas, The Gnostic Gospel of Thomas and several more. These texts do not boast the same number of ancient copies New Testament books do, nor are they well preserved or as close to the time of the originals. These writings generally have no historical validation whatsoever, certainly none of the type enjoyed by the New Testament writings. The New Testament book had to be connected to an apostle, or someone closely connected to Jesus (we looked at this earlier). The Apocalypse of Peter, though it names an apostle in the title, was never recognized in any early writing or by any evidence as having anything to do with the real historical Peter. It was rejected because the people at the time knew that Peter had no connection to it. The New Testament writings had to agree with generally accepted Christian doctrine. In the 140s AD a man named Marcion came up with his own very twisted version of Christianity and listed various writings which he thought should be considered sacred. He and his “New Testament” were rejected because they were contrary to the teachings that the churches had held since the time of the apostles. So you see, when it comes to something like The DaVinci code, or National Geographic’s Judas Gospels there is a little bit of truth, mixed with a lot of big lies. The little bit of truth is that there are indeed ancient writings other than the New Testament, which talk about Jesus. The big lie is the idea that those other writings are validated or historical in any way. They don’t have the historical or documentary qualifications which the New Testament does. Compared side by side, the New Testament wins every time. The point of everything we’ve learned so far is this: There are some very good reasons to believe that what the Bible says is true, accurate and important. Ultimately we do have to take a step of faith. But perhaps you haven’t realized until now, that that step of faith is not as big as many people think it is. We have sound scientific and historical reasons to believe what the Bible tells us. I don’t think we can call it absolute proof, because God does want us to trust him, and in order to trust, there has to be the possibility of doubt. But even though that possibility of doubt remains, all of the evidence points to the conclusion that the Bible is true, trustworthy and reliable. Next time, we’ll talk more about the “mystery” of Jesus, and how that helps us to understand the whole bible.